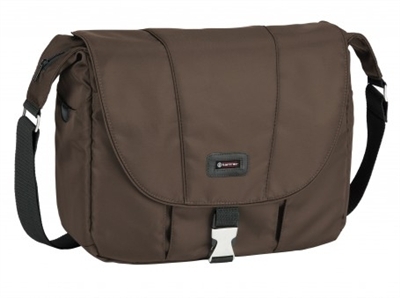 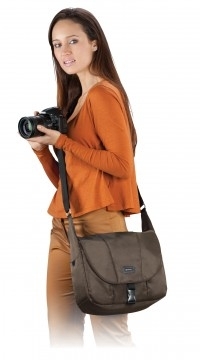 The Aria 6 is a stylish handbag-style camera bag that carries a medium-sized DSLR with a lens attached, a second lens and a third lens or flash, or a mirrorless camera system. A foam-padded compartment inside carries and protects an iPad. 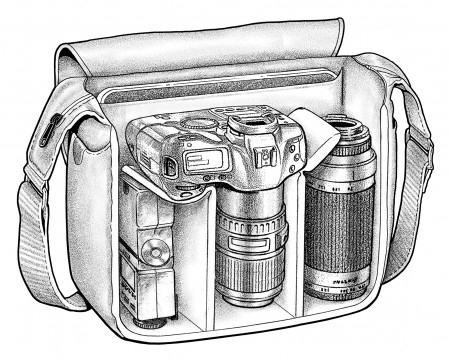 It strikes the perfect balance between elegance and functionality and provides discreet protection camera gear without advertising what’s inside.